MANILA, Philippines – Senate President Vicente Sotto III urged his colleagues in the Upper Chamber to look into the possibility of revising the last line of our national anthem. Senate President Sotto suggested new lines for the Philippine National Anthem. 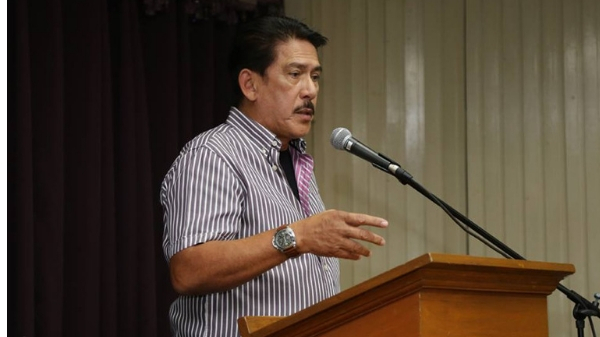 Sotto made the suggestion during the plenary debates on the proposed amendment to Republic Act 8491, particularly the bill that proposes to increase the number of rays in the Philippine Flag. Sen. Richard Gordon supported the idea and agreed to file a separate bill for it. Gordon co-authored Senate Bill 102 that seeks to increase the number of rays of the sun from 7 to 8 in the Philippine Flag to represent Muslim leaders. Jose Palma wrote the lyrics to Lupang Hinirang while Julian Felipe arranged it in 1898. It was in 1956 when former President Ramon Magsaysay declared ‘Lupang Hinirang’ as the country’s national anthem.